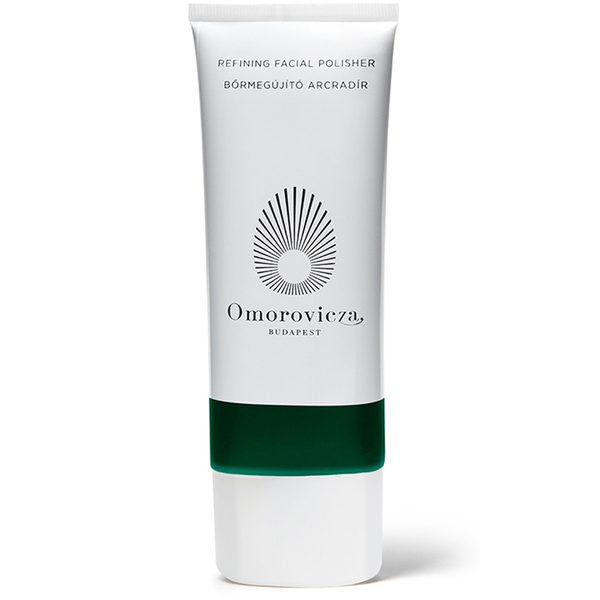 Achieve smoother, glowing skin with the Refining Facial Polisher from Omorovicza. Enriched with calcium and magnesium, the polisher exfoliates skin to remove dead skin cells and impurities, leaving pores purified. Hydro Mineral Transference™ deeply penetrates minerals into skin and marine micro-algae boost radiance to give you a brighter, younger-looking complexion. Its unique formula contains exotic fruit extracts which plump and tone skin, whilst strengthening the surface barrier to improve firmness. Experience skin that is supple and revitalised. E.N. Directions for use: Massage in a circular motion from the nose area outwards. As you buff, the colour will change from emerald green to pearlescent grey. Leave on for 2 minutes, then rinse thoroughly with warm water.